Making sense of how to bill telemedicine services can be a messy, frustrating, and a time-consuming process. After all, telemedicine billing guidelines have no blanket law that governs these services. However, telemedicine has increasingly become an integral component of our healthcare system. So, what is a forward-thinking healthcare professional to do? 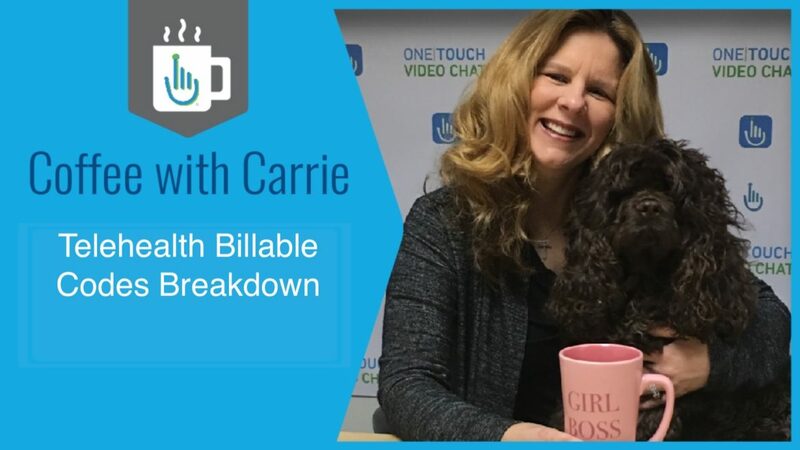 On this week’s Coffee with Carrie, we will outline the main categories, states, and the new federal legislative rules for telemedicine services. How to bill telemedicine services for patients that have commercial insurance is fairly straightforward. Most large insurance companies – Blue Cross Blue Shield, Aetna, Cigna, and UnitedHealthcare – cover telehealth to some degree. In addition, the telemedicine billing guidelines that involve commercial insurance is boilerplate simple. The telemedicine billing codes require a two-digit modifier for designating the telemedicine services. However, it is important that you check with a patient’s insurer to determine coverage requirements. Moreover, video telemedicine is the most commonly covered telemedicine service, followed by store-and-forward and remote monitoring services as defined by a handful of state Medicaid programs. Many patients and providers have criticized Medicare’s telemedicine billing guidelines for its narrow restrictions on coverage and reimbursement. And unfortunately, the snails-pace rate of legislative activity at the federal level makes change difficult despite patient demand. But some changes are coming down the pike in 2019. Specifically, the telemedicine billing codes with respect to Medicare will change. For example, federal laws will designate a patient’s home as an originating site in certain situations. Mainly, many of the legislative laws will allow reimbursement for telemedicine services for patients residing in underserved rural areas. Telemedicine will redefine the healthcare industry. Not only are patients demanding it but the telemedicine market will go from $17.3 billion in 2017 to $52.9 billion by 2025. Click here to find out more about telemedicine guidelines, reimbursement, and tips to ensure a successful rollout.